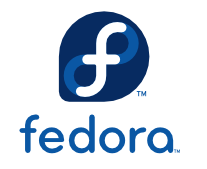 A while back I added a Fedora 13 install script for Mono that downloads, builds, and installs the last tested daily build along with xsp and mod_mono. I just recently updated it to use the Sept 1st, 2010 daily build. You can pull the latest script directly from my github repository. That’s it. It’ll first install all the required dependencies for the build and the web server. It’ll then download the 9/1 build (or latest tested version) from the daily tarball list and pull mod_mono and xsp from subversion trunk. Finally, it will extract, compile, and install everything. The only thing remaining is to setup a web application and configure apache to use mod_mono. For this, I like to use the Mod Mono Config Tool as a starting point to build my virtual host configuration file. That should do it. You can test your new virtual host by browsing to it. The 404 response should show the new mod-mono version.